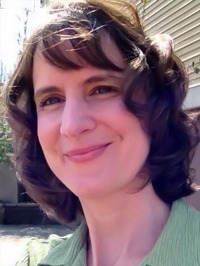 Donelle Dreese is an author and Associate Professor of English at Northern Kentucky University. Her books include A Wild Turn (Finishing Line), Looking for a Sunday Afternoon (Pudding House), and America’s Natural Places, East and Northeast (ABC-CLIO). Her most recent work, the novel Deep River Burning is forthcoming from WiDo Publishing, and a YA novella, Dragonflies in the Cowburbs, is forthcoming from Anaphora Literary Press. Donelle was recently selected as a semi-finalist for the 2013 Louise Bogan Award for Artistic Merit and Excellence by Trio House Press. We’d love your help. Let us know what’s wrong with this preview of Out of the Dust by Karen Hesse. We’d love your help. Let us know what’s wrong with this preview of Winter's Bone by Daniel Woodrell. We’d love your help. Let us know what’s wrong with this preview of Love Medicine by Louise Erdrich.